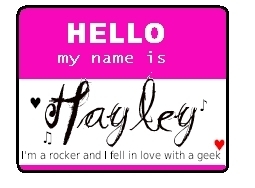 Hello my name is Hayley-for rockzsanders. . Wallpaper and background images in the टोटल ड्रामा आइलॅंड club.